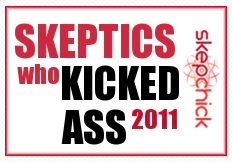 » 2010: The year in science, skepticism and woo. What were your highlights for science and scepticism in 2010? There were some big “wins” for critical thinking in 2010, but sadly alternative medicine and scams continued to abound, with the explosion in popularity of Power Balance bracelets a very good example of the continuing gullibility of the general public. 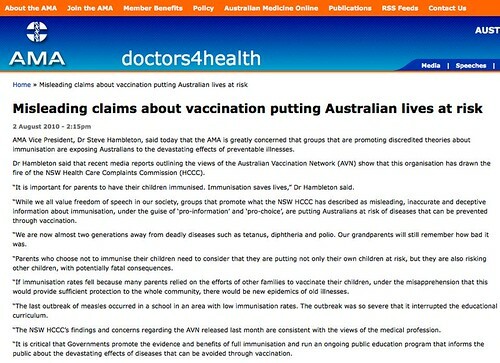 On the plus side, the anti-vaccination movement continued to take hits, with Andrew Wakefield being struck off the UK medical register and the AVN losing their charity license and being called a threat to public health and safety by the HCCC. And of course the year ended with a bang, with Australia’s largest sceptical convention ever to come to Australia, TAMOz, held in Sydney in November. Below are just a few of the events I feel contributed to a very exciting and positive year in scepticism, plus some of the not so positive, as a reminder of why we need keep pushing the message of critical thinking. This is by no means an exhaustive list, and if you have one you think I have missed feel free to leave it in the comments. 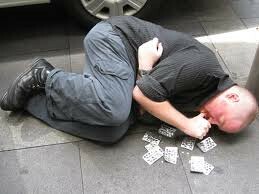 January 30th: Ten23 – worldwide homeopathy overdose. The brainchild of the Merseyside Skeptics Society, Ten23 was designed to inform the public that “homeopathy: there’s nothing in it”. It was a huge success, attracting extensive media coverage across the UK. The event was mirrored in Perth, Sydney and also very successfully in New Zealand where Christchurch’s Vicki Hyde received significant media attention for her role in organising events across the pond. Events for 2011 are already being organised and the campaign looks to be even bigger this time around. 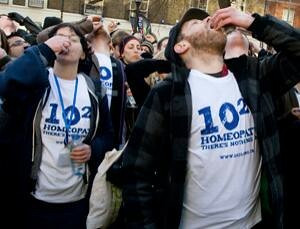 The Ten23 protest in the UK was designed to demonstrate that there's nothing in homeopathy. At the Ten23 protest in Sydney, some participants fell asleep almost 12 hrs after "overdosing" but woke up 8 hrs later. In the UK the pharmacy Boots came under fire for admitting they sell homeopathic products, not because they work but because people want them. 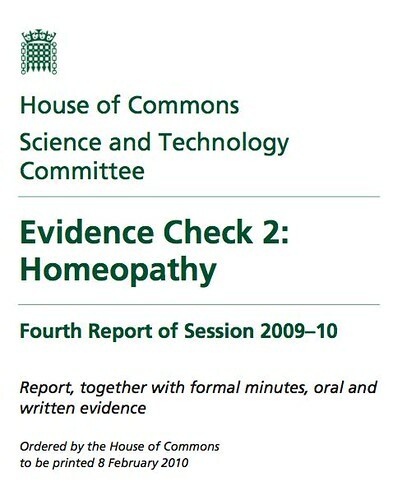 February 22nd: UK Committee on Science and Technology Evidence Check says homeopathy doesn’t work. Recommend no further clinical trials of homeopathy. Found evidence for homeopathy working was lacking. Committee viewed homeopathy as placebo. Despite these recommendations, on July 26th it was announced that homeopathy was to remain on the NHS. March 10th: Libel case against Paul Offit and Amy Wallace dismissed. 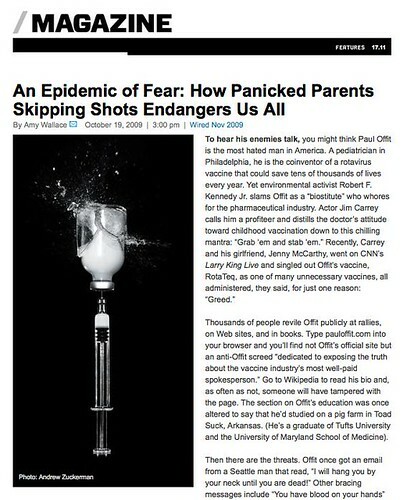 Two days before Christmas in 2009, Barbara Loe Fisher from the US-based anti-vaccination group National Vaccine Information Council (NVIC), filed a $1 million claim that Dr. Paul Offit had libeled her in Wallace’s “Wired” article “An epidemic of Fear, One Man’s Battle Against the Anti-Vaccine Movement“. The offending paragraph is reproduced below. This is not the first time this has happened and likely won’t be the last. However, with the rise of the grass roots skeptical movement, it is becoming harder for anti-vaxers and others without evidence on their side, to hide behind “legal chill”. 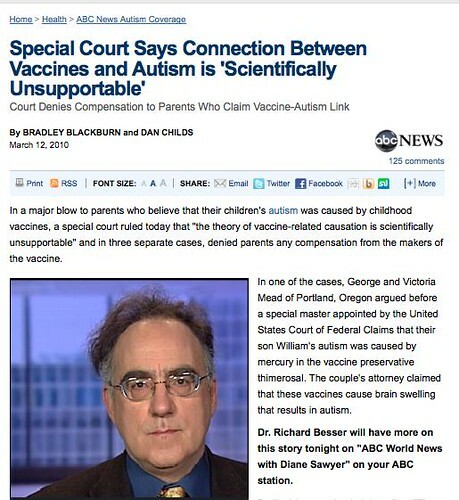 March 12th: US Vaccine Court rules thiomerosal does not cause autism. The claim that autism is linked to vaccinations, and in particular the measles-mumps-rubella (MMR) vaccine, took a further blow in March with the US Court of Federal Claims rejecting claims in three separate cases that the mercury-containing preservative, thimerosal, causes autism. Three cases selected from a pending class action of thousands, ruled on by three judges called ‘special masters’, were chosen as test cases as they were considered to be among the strongest proposed. Patricia Campbell-Smith, special master on another case, said that “The petitioners’ theory of vaccine-related causation is scientifically unsupportable.” Sadly this has not changed some parents perception that vaccines cause autism. The BCA brought a claim for libel against Simon Singh after an article he wrote describing the BCA as happily promoting bogus treatments. Justice Eady agreed with the BCA’s interpretation, that Singh had made a serious allegation of dishonesty. However, the Court of Appeal ruled Singh’s comments were expression of an “honest opinion”. On April 15th, the BCA withdrew the case. 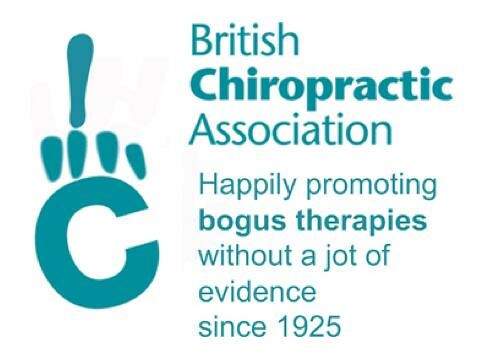 In a statement they wrote: “The BCA takes seriously its duty and responsibilities to members and to chiropractic patients. The BCA have considered taking leave to take this matter to the Supreme Court and has been advised that there are strong grounds for appeal against the court of judgement appeal. However, while it was right to bring the claim at the outset, the BCA now feels that the time is right for the matter to draw to a close.” You can read a summary of events here. Even though Singh effectively “won” the case, it still cost him thousands of pounds of his own money (and he will never recoup it all). Importantly, his case prompted changes to the UK libel laws which are currently ongoing. April 23rd: FluVax® Junior suspended for under 5s after increased adverse reactions. The seasonal flu vaccine was suspended for kids under five years of age after 55 children suffered convulsions following the vaccination, and almost 200 others suffered fevers and vomiting. A task force convened by the CDC and headed by Nobel laureate Professor Peter Doherty did not find a conclusive cause for the convulsions but the “current working hypothesis” was that the strain of swine flu used in this year’s seasonal flu vaccine appeared to contain a higher than usual level of a protein called neuraminidase. The problems were confined to CSL’s FluVax® Junior preparation and its use in under fives remains suspended. However two other brands of flu vaccine for children are safe and continue to be administered. An autopsy following the sudden death of a two-year-old Brisbane girl 12 hours after she received the flu jab, could not be linked to the vaccine. 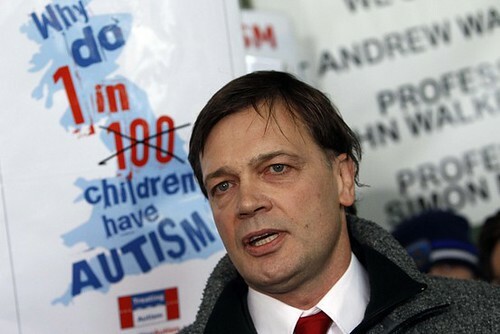 May 24th: Andrew Wakefield struck off the UK medical register. Timeline: February 1998: The Lancet study published, suggesting MMR vaccine might be linked to a higher risk of bowel disorders. Wakefield suggests at a press conference that MMR may overload a child’s immune system, thus planting the seeds for MMR = autism. January 2001: Dr Wakefield claims that the combined MMR vaccine has not undergone proper safety tests. Ostracised by the British medical community, Dr Wakefield and his family move to Texas. February 2004: The Lancet announces a partial retraction of the 1998 paper, on grounds of “a fatal conflict of interest” — The Sunday Times has reported that Dr Wakefield received £55,000 from the Legal Aid Board for research to support legal action by parents who claimed that their children had been harmed by MMR. The UK GMC announces an investigation. March 2005: Japanese scientists say they have evidence that the MMR vaccination is not linked to a rise in autism: cases increased after withdrawal of the MMR jab. Studies in Britain and elsewhere support this. July 2007: The GMC hearing against Dr Wakefield and two of his colleagues begins. It is expected to last four months. February 2010: The Lancet retracts the 1998 paper. Neurotoxicology retracts an article in press from Wakefield. He resigns from Thoughtful House. May 2010: After the longest investigation in the history of the GMC, Wakefield is struck of after being found guilty of “multiple separate instances of serious professional misconduct”. He is found to have “abused his position of trust” and brought the medical profession into disrepute. “Callous Disregard” (with forward by Jenny McCarthy) published. The last medline indexed peer reviewed paper you will find from Wakefield was published in 2006. A search for “Wakefield AJ” on PubMed brings up 112 hits. Wakefield was a prolific, extensively published and competent researcher. Sadly, he now tweets links to anti-vaccine groups and publishes in the woo/conspiracy fest journal, Medical Hypotheses. He will likely never publish in mainstream science journals again. July 12th: HCCC report calling the AVN “misleading” released. 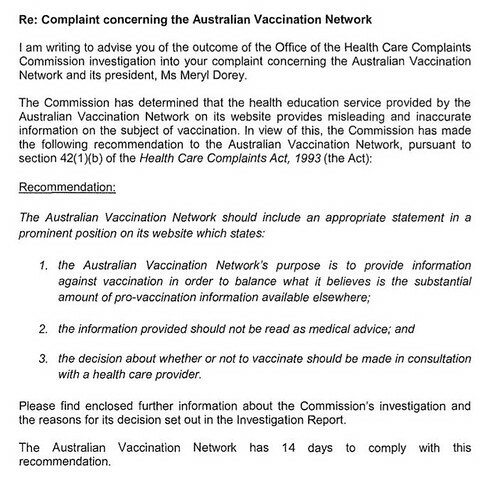 After a 12 month investigation the Health Care Complaints Commission (HCCC) finally handed down their findings into the Australian Vaccination Network (AVN). 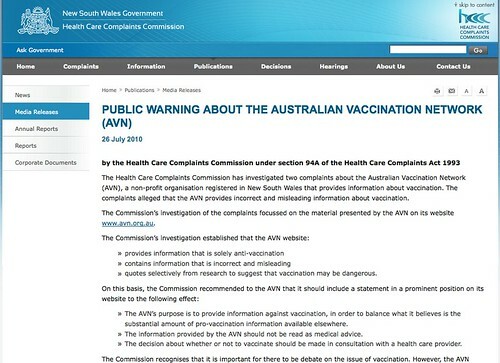 The commission concluded; the AVN provide misleading information about vaccination and must post disclaimers on their website clearly stating they are anti-vaccination. The report found evidence that the AVN misleads readers by using reliable and peer reviewed literature but selectively quotes from it, often in contradiction to the conclusions or findings of the studies. The AVN also gives non-peer reviewed and anecdotal material the same authority as peer-reviewed literature. The findings were covered in an exclusive story by Steve Cannane on Lateline, where he famously caught Meryl Dorey out denying she had written something; “Did I say that? I don’t believe I did..”. July 26th: Public Warning about the AVN released. by the AVN to place a disclaimer on their website, the HCCC issued a public warning about their misleading information. This resulted in a surge in interest by the media and the Streisand Effect taking hold. The AVN were in the spotlight, but for all the wrong reasons. 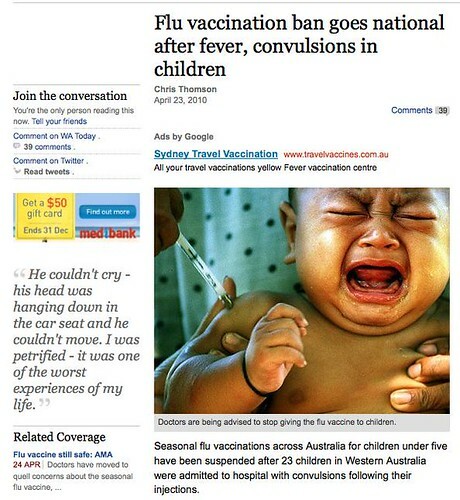 For the first time, we began to see them referred to as “anti-vaccine” by the mainstream media. Their arrogance in refusing to put the HCCC disclaimer on their website had well and truly backfired. July 31st: Coroner finds cancer death due to “misinformation”. Penelope Dingle died in 2005 from untreated bowel cancer aged 45, after being diagnosed in 2003. She first presented with bleeding from the bowel in 2001. Following a colonoscopy, she was advised by doctors to have surgery to remove the cancer. She declined conventional cancer treatment, instead deciding on following a regimen of alternative treatments including special diets, vitamins and homeopathy. State Coroner Alastair Hope found that homeopath Francine Scrayen convinced the ailing woman she could cure her cancer. By the time Mrs Dingle agreed to emergency surgery for a complete bowel obstruction, she was in severe pain and her bowel was almost at the point of splitting open. She would have died within 24 hours if she had not had the emergency surgery. According to evidence given at the inquest from friends of Mrs Dingle and from her diaries, she and her husband, Dr Dingle made a pact with homeopath Francine Scrayen to not take any conventional treatment including pain relief. 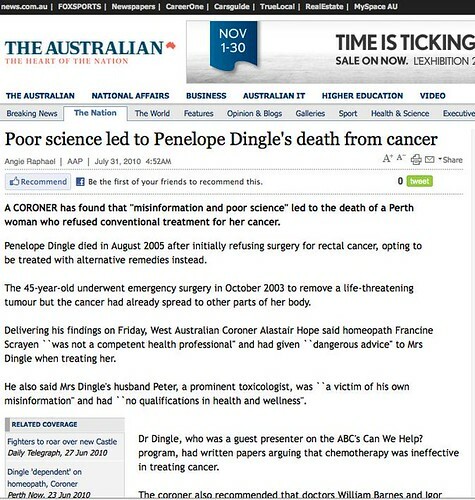 Dr Dingle also planned to write a book about how to cure cancer with homeopathy and alternative treatments once his wife was cured. Another case for What’s the Harm in homeopathy? August 2nd: The Australian Medical Association issues a warning about the AVN. 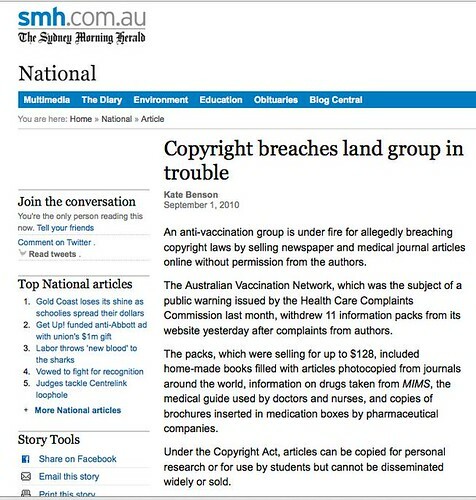 “an anti-vaccination group is under fire for allegedly breaching copyright laws by selling newspaper and medical journal articles online without permission from the authors. In response, Meryl said she was “unaware she had breached copyright”. This is despite the fact that she is listed as the editor of her own publication Living Wisdom which has this permission to reproduce policy inside the magazine: “Whilst reproduction and dissemination of the information found in Living Wisdom is actively encouraged (unless otherwise stated), it is expressly forbidden for anyone to reproduce any of this information for the purpose of profit…”. Hypocrites much? September 3-6th: “Hug me! I’m vaccinated” free vaccine clinic at Dragon*Con. The brain child of Skepchick’s Elyse Anders, the clinic was set up in an empty shop front for the Labour Day weekend and offered free pertussis boosters and HIV testing to coincide with the world’s largest Sci-Fi convention in Atlanta, Georgia. In the midst of an epidemic of pertussis, in which 10 babies have already died in California, the clinic exhausted their supplies of vaccine by the end of the weekend. Elyse wasn’t able to attend Dragon*Con since her baby had not yet received all of his shots for pertussis thus making the risk of him attending too great. Elyse has recently been the subject of an Age of Autism smear campaign for her work in getting a SafeMinds ad pulled from cinemas during the US Thanksgiving Weekend. You can read about it here. The power of Twitter, the popularity of which has exploded in 2010, was effectively harnessed to mobilise the masses and get these ads stopped. October 20th: The AVN loses their charity license. 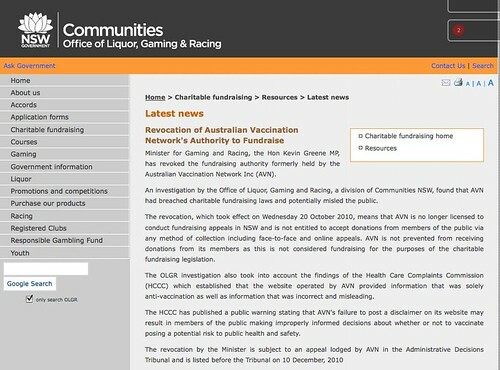 Following a complaint submitted by Wendy Wilkinson, the OLGR audited the AVN and found breaches sufficient for the revocation of their charity license. These include a number of breaches of charity laws, including fundraising without an authority, unauthorised expenditure and failure to keep proper records of income and expenditure. The revocation means the AVN is only able to solicit funds from current members not from members of the public, which has been a big blow for them financially. An appeal scheduled to be heard on December 10th was postponed. The OLGR said it had also identified possible breaches of the Charitable Trust Act which will be referred to the NSW Department of Justice and the Attorney General. There are substantial penalties for these offences, including fines of up to $5,500 per offence or jail time. These investigations are ongoing. Ms Dorey continues to plead her innocence. October 26th: Choice Magazine awards Power Balance a Shonky. November 28th: TAM Australia declared a stupendous success! Photo credit: Gail Miller, Victorian Skeptics. With over 620 delegates, 51 speakers, 2 and a half days of talks, panels and workshops the very first TAM Australia was declared a huge success by all involved. 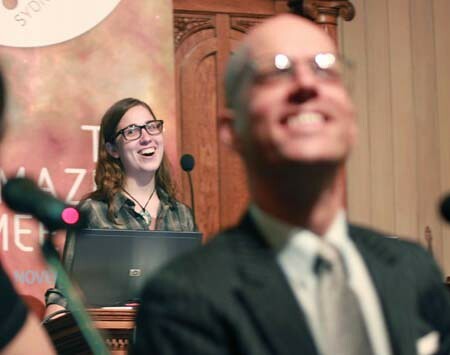 Speakers included Dr Rob Morrison, Dr Pamela Gay, Julian Morrow, Steve Cannane, SGU, Brian Dunning, Steve Novella, Simon Taylor, Eugenie Scott, George Hrab and many many more! This was the first TAM ever to be held in Australia but it certainly won’t be the last. Did I miss something you think should be on this list? Leave a comment and let me know!